October 2017 - Kenwa Trading Corporation, a specialist in door hardware and various door closing solutions. KENWA Trading Corporation has successfully reached remarkable milestone by having supplied (800) sets of NSC series Sliding Door Closers for one of the leading manufacturers specializing in the data center containment design and construction based in US. The system has been used for the entrance door of data center containment to ensure the optimum temperature/humidity control for the data servers. Healthcare Design Expo & Conference 2017 is around the corner. This premium event will be held from November 11th through 14th in Orlando, FL. Please come and visit us as we showcase state of the art door closing solutions perfectly suit the healthcare facilities. 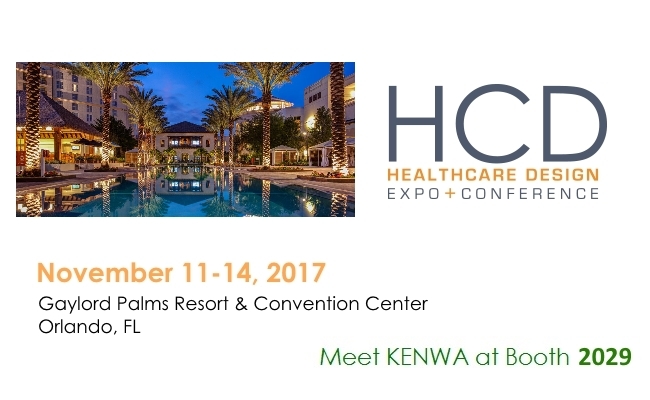 Meet KENWA’s cutting-edge technologies in Booth# 2029.